Renault has finally launched the much awaited Duster AWD at a price of Rs. 11.89 (Ex-Showroom New Delhi). The AWD version comes in two variants, a mid one and a top of the line variant. 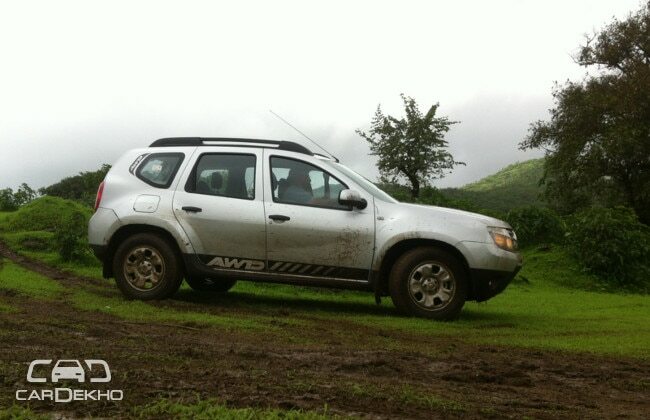 The Duster AWD comes with major mechanical upgrades along with refreshed premium looking interiors. The AWD trims come solely with the 110PS version of the 1.5 dCe turbo diesel and is mated to a 6-speed manual transmission. 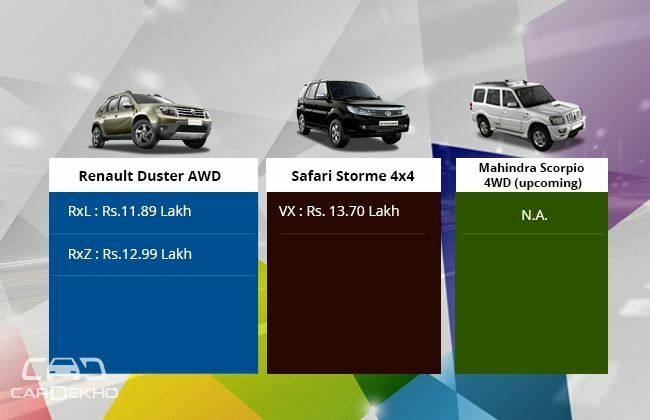 The major rivals of the all-wheel-driven French compact SUV are Tata Safari Storme 4x4 and Mahindra Scorpio 4WD (launching tomorrow). All the three vehicles on the safety front sport dual-front airbags, ABS with EBD. While the Duster boasts some additional features like ESP – Electronic Stability Control and ASR – Anti Slip Regulation for added safety and comfort. 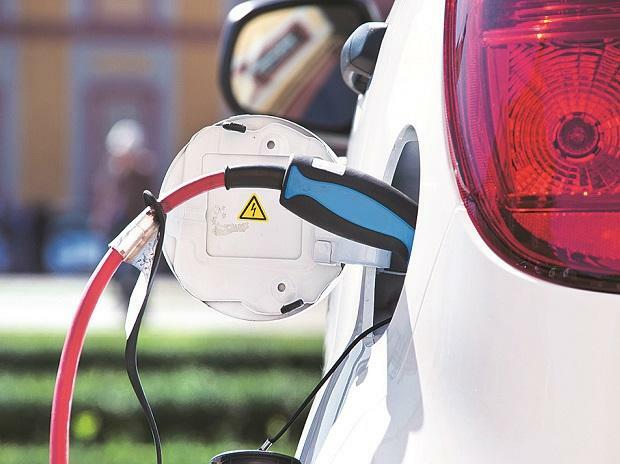 Duster also comes with a touch screen infotainment system with built-in navigation which is also reportedly coming in the new Scorpio; however, Safari misses it but offers it as optional. 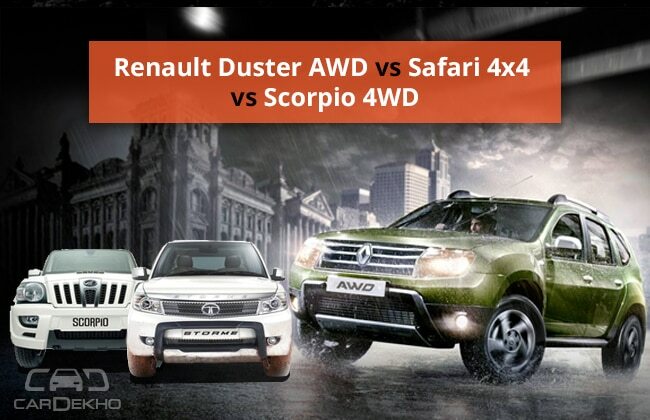 Moreover, Safari and Scorpio are 7 seater SUVs while the Duster only offers five seating option with its compact SUV tag. 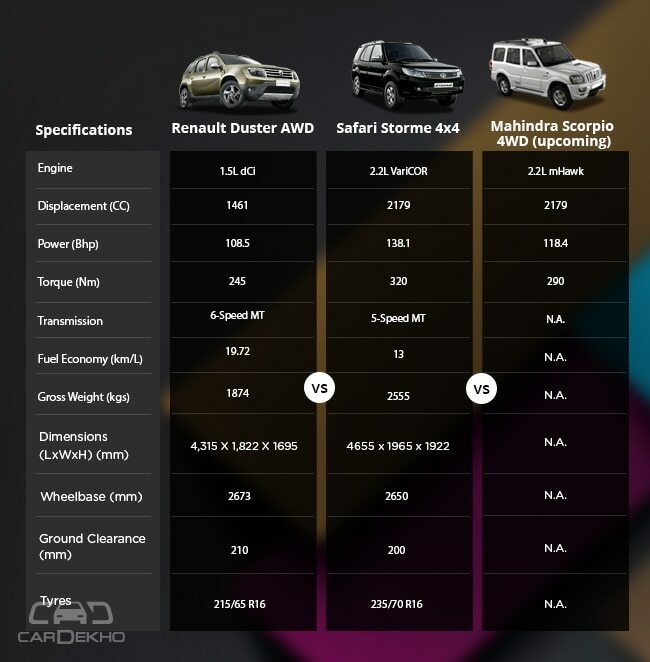 In a nutshell, all the three cars have their own pros and cons but there's no doubt that Duster is the most fuel efficient 4-wheel-driven SUV here with its 19.72km/l certified tag, which is miles ahead of its competitors. But Safari and Scorpio also score when it comes to seating options, sheer size and powerful engines. Furthermore, Tata is also planning to launch refreshed Safari soon with added goodies and we all know that Mahindra Scorpio launching tomorrow is coming with bettered mechanicals along with major stylistic upgrades inside-out. The new Mahindra SUV will continue to feature 4x4 as optional and the prices are expected to be in the same vicinity, so stay tune to this space for new Scorpio comparison tomorrow!